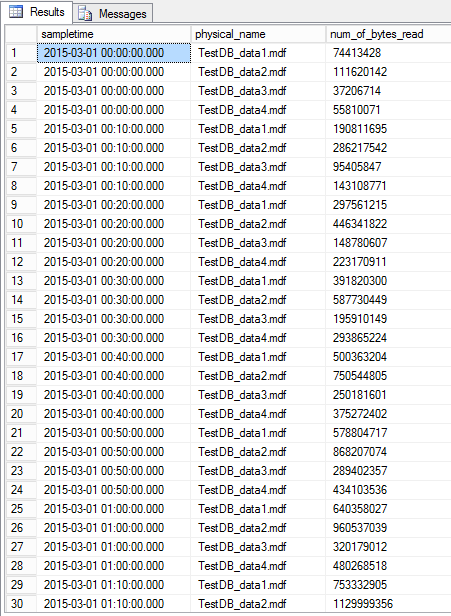 The TestDB consists of four data files and the virtual file stats DMV was sampled every 10 minutes. The above shows 30 rows out of a total of 2304 rows (from 1st March to 4th March inclusive). I’m only interested in the ‘number of bytes read’ measure. The same analysis could be done for any of the other measure columns. # Group the data frame by file name so the lag function works per file name. You can see that the most reads occur between 7am and 7pm with more data being read from data file 1 and 2 (perhaps because of proportional fill with different file sizes). R scripting is great for this type of DBA work. 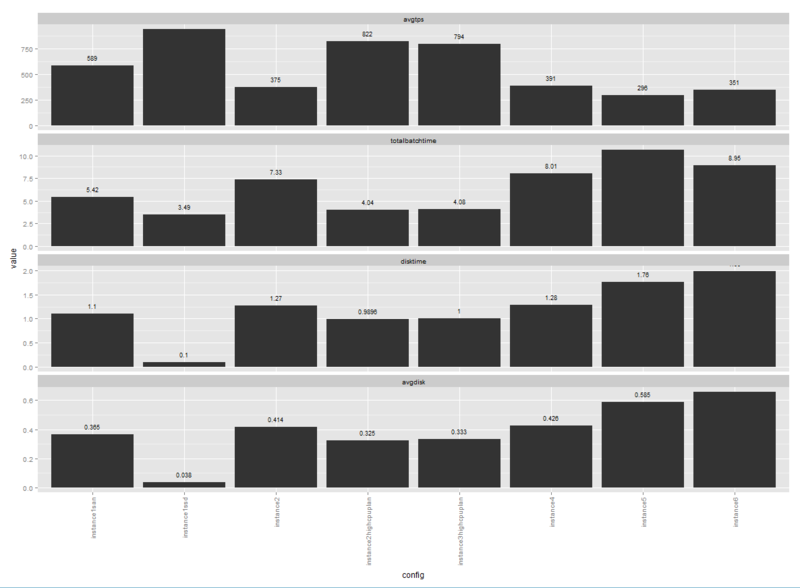 You have full control of the elements that appear on your visualisations using the ggplot2 library. Coupled with this the dplyr library contains a wealth of windowing functions to deal with the most common data trends seen by DBAs. 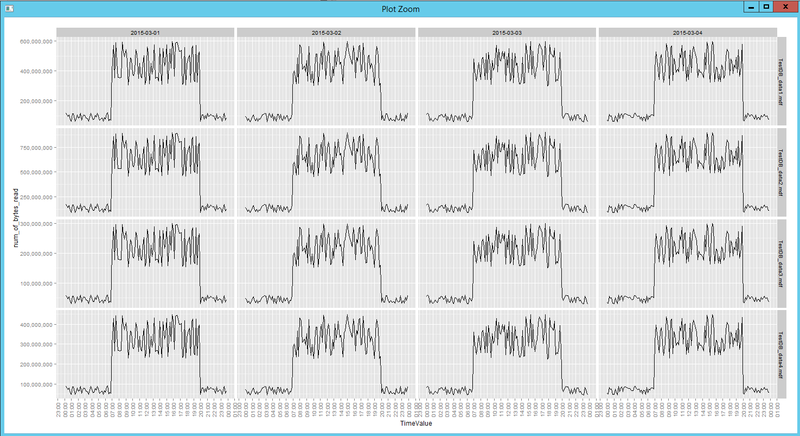 Excel is all well and good when you want to manually plot your data. You manually load your data, create a bar chart, format axes, change the alignment for labels, add a title and save as a file for your team to review. But in an age where everyone is using tools such as Powershell or Python for their administration tasks it makes sense to use a scripting tool to generate charts. After all, as data professionals we all know how to programmatically read from a CSV file or from an SQL Server table. This blog post shows just how easily and elegantly you can generate a publication quality chart using the ggplot2 library in R.
R is an established data analysis tool. There are a weath of libraries for all sorts of statistical analysis. Many primitives that exist in SQL Server have counterparts in R. For example, a table can be represented as a data frame. In terms of data frame operations (ie selecting, filtering, grouping, ordering, windowing functions) a library that implements most of the SQL type operations is the dplyr library. This blog post does not concern dplyr but one its authors (Hadley Wickham) has also authored the ggplot2 library. This library implements “the grammar of graphics” functionality. You programmatically generate your chart using the functions within this library. An example making use of this library now follows. 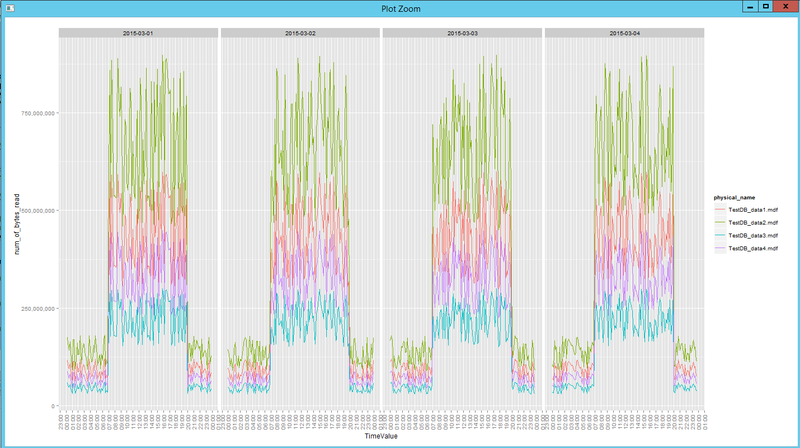 You want to visualise the effect of SSD on reducing total batch time compared to the effect of the high performance CPU power plan. # The df data frame holds its contents in what's know as "wide" format. That is, with columns for the four measures. The bar charts making use of the facets command to show each measure as a separate chart and “free_y” scales to show independent y axes. 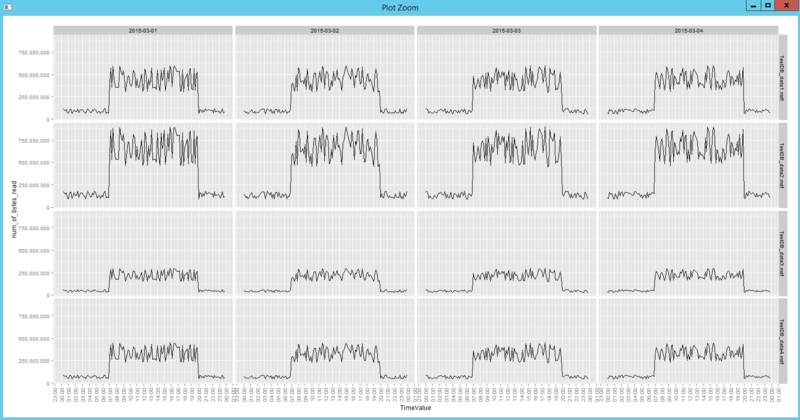 Also, 90 degree rotation of x axis labels and measure value placed above each bar. Visualising the results you can see that although instance1 with SSD had dramatically reduced transaction log latency compared to instance1 on SAN in terms of reduction of total batch time the bigger “bang for the buck” was seen for instance 2 going from a balance CPU power plan to a high performance CPU power plan. The total batch time went down by almost 3.3 seconds and the average transactions per second more than doubled. This is interesting but is not the point of this blog post. Using the “grammar of graphics” approach implemented in the ggplot2 library you have complete programmatic control of the elements you wish to see presented and the style of each element. And the great thing is that you can send not just the image to your end users but the command you used to generate the image as well. This command is a piece of script so can be treated as source code that you can version control and maintain history. You can’t do any of this for an Excel based solution. You don’t need to be an R coding expert to use the scripting language. The learning curve is far lower than that for Powershell. And since the language is a data language and the operations that are performed tend to be vector and matrix type operations it’s a natural fit for those professionals who are already familiar with set based programming with SQL. With Microsoft’s acquisition of Revolution Analytics there’s a high chance that R will become more prominent in the toolset that Microsoft provide to SQL Server professionals.